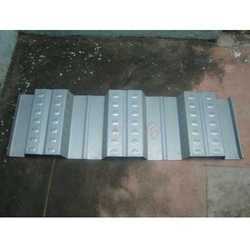 With our expertise in this domain, we are able to offer Metal Sheet. 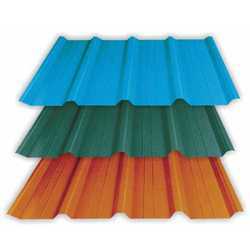 We offer our customers a wide assortment of Metal Roofing Sheets, Pre-Painted Galvanized Steel Sheets, Bare Galvalume Sheets, Pre-Painted Aluminum- Zinc Alloy Coated Steel (PPGL) and Color Coated & Non Color Metal Sheet under this category. The sheets offered by us are appreciated in the market for their strong construction, resistance against corrosion and low maintenance cost. We are committed to offer our clients Pre-Painted Galvanized Steel Sheets. Owing to the attributes such as features excellent resistance against corrosion & heat and low maintenance cost, these galvanized steel sheets are appreciated in this competitive market. Before the end delivery, these sheets are stringently checked by the quality analyzers on varied parameters to ensure their flawlessness. We offer these sheets to the clients at market-leading prices. "We are majorly looking for inquiries from South India region including Andhra Pradesh, Karnataka, Kerala and Tamil Nadu and cities like Bangalore, Chennai and Hyderabad." 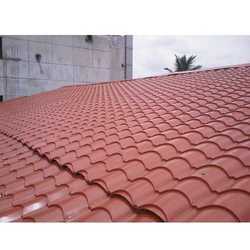 Innovation is our forte and we strive to design and develop Metal Tile Roofing. These sheets are manufactured using high-grade raw material, which is sourced from reliable vendors of the market. Clients can avail these sheets in various sizes, lengths and thicknesses as per their exact requirements. 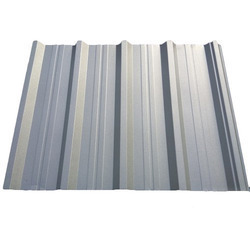 Being a customer-focused organization, we are engaged in offering Metal Decking Sheets. Trapezoidal Metal Profile sheets with strong and reliable shear bond performance which is augmented by cross embossing located in the profile. The composite floor profile offers the ultimate in the light weight steel decking which reduced concrete usage to provide a cost effective and alternative floor solution that easy to install. With thorough knowledge of industry, we are engaged in offering Polycarbonate Pre -Painted Aluminum Sheet to the clients. Designed and manufactured by the experts using advanced technologies and qualitative steel. All our offered products conform their accordance with the international standards. Owing to the features like high tensile strength and rigid construction, these are applauded in this highly competitive market. In order to fulfill the changing demands of our clients, we are offering Bare Galvalume Sheets. These sheets are manufactured under the supervision of professionals using high-grade raw material, which is sourced from authentic vendors of the market. Clients can avail these sheets from us in various sizes as per their requirements. 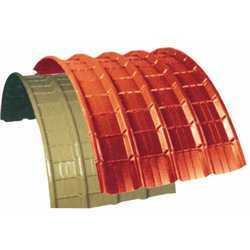 We are one of the leading manufacturers of Roofing Accessories. 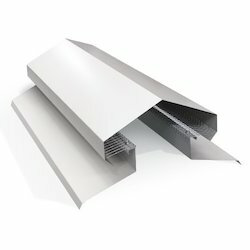 Looking for Metal Sheet ?